It’s the most wonderful time of the year, and a great excuse to travel to Wine Country to experience special offers and events happening at select wineries. 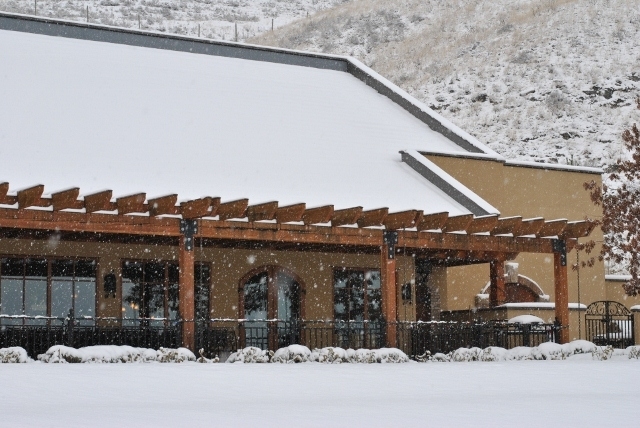 The Oliver Osoyoos Winery Association is set to host Winter in Wine Country, happening this weekend, November 22-24, 2013. Select wineries in Oliver and Osoyoos are coming together for special wine tastings, food pairings, live music and entertainment, gift specials, christmas light displays and decorations. Hester Creek Winery is hosting Rose Revolution at 7:30pm. Tickets are only $35.00+gst and include safe transportation, 2 tastings, food+live entertainment. Extra tasting tickets are $1.00 each. Adega on 45th has special food and wine pairings, children’s tree decoration, gift baskets and select wine specials. Burrowing Owl has rare library wines for sale and lots of seasonal gifts. Hidden Chapel has full Christmas decorations and wine bottles come with hand knit toques. Plantinum Bench has freshly baked breads paired with wines. Silver Sage has wine and chocolate and Santa’s Workshop. Oliver Twist has food and wine pairings, mulled wine, door prizes and more. Nk’Mip is hosting the festival of trees from 4-6pm. People are invited to tour and vote for their favourite light display. Black Hills has mulled wine, food and wine pairings, recipe cards, games and prizes. Castoro De Oro has free tastings of 5 wines, meet and greet with winemakers, live music and more. Tinhorn Creek has Merlot mulled wine, gift baskets and free wrapping and pumpkin soup and holiday cookie by Miradoro Restaurant. Jackson Triggs has select food and wine pairings and specials. Quinta Ferreira has 15% discount on all wine and gift baskets available. Road 13 Vineyards has complimentary seated Lounge tastings and wine paired with select charcuterie and cheese. Desert Hills has complimentary wine tastings and 10% off case of wine. Gehringer Brothers has free wine tastings and German treats. 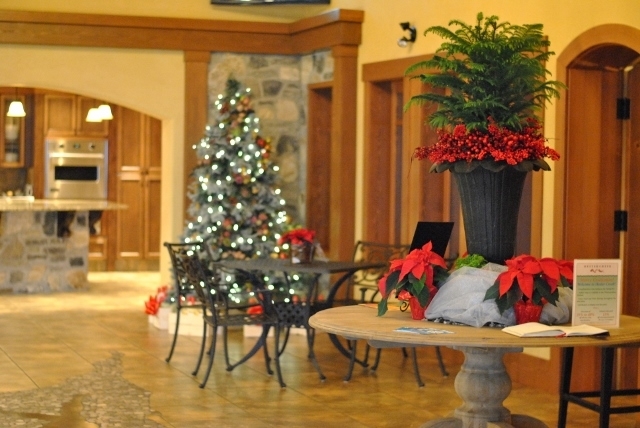 Hester Creek has holiday features, complimentary mulled wine, food and wine pairing at 1:30pm and brunch. Nk’Mip Cellars has the festival of trees, complimentary wine tastings and in store specials. Rustico has an old-fashion cowboy Christmas event, bonfire and food and wine pairing. Stoneboat has sabering of Piano Brut at noon, Holiday sparkling wine and food pairing. Tweet @uncorkBC if you travel to any of these wineries this weekend to celebrate Winter in Wine Country! Visit Winter in Wine Country for more information. This entry was posted in BC Wine Country, Event Coverage, Wine Tastings and Special Events and tagged BC Wine, Oliver, Osoyoos by uncorkbc. Bookmark the permalink.